Inspired by Saturdays, releasing on Saturday. Kyrie Irving apparently didn't have time to get up on Saturday mornings and watch cartoons. Instead, he worked on his game. And it's because of that hard work that he eventually ended up with his own signature shoe, the Nike Kyrie 1, so it only makes sense that he pay tribute to the days he sacrificed sitting in front of the TV in order to get better. 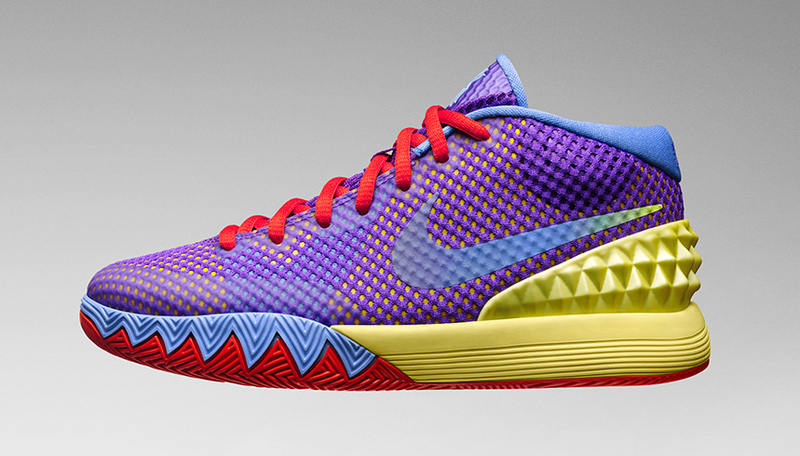 He does that with the new "Saturdays" Nike Kyrie 1, shown here. 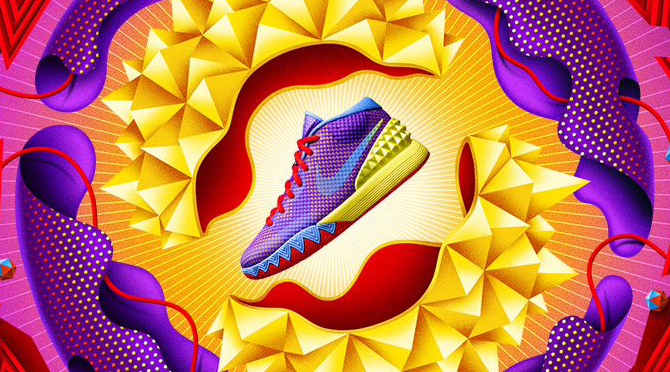 Fittingly, this Nike Kyrie 1 is a kids release. The sneaker release date for this pair is marked for Saturday, June 13. Nike Kyrie 1 Kids "Saturdays"